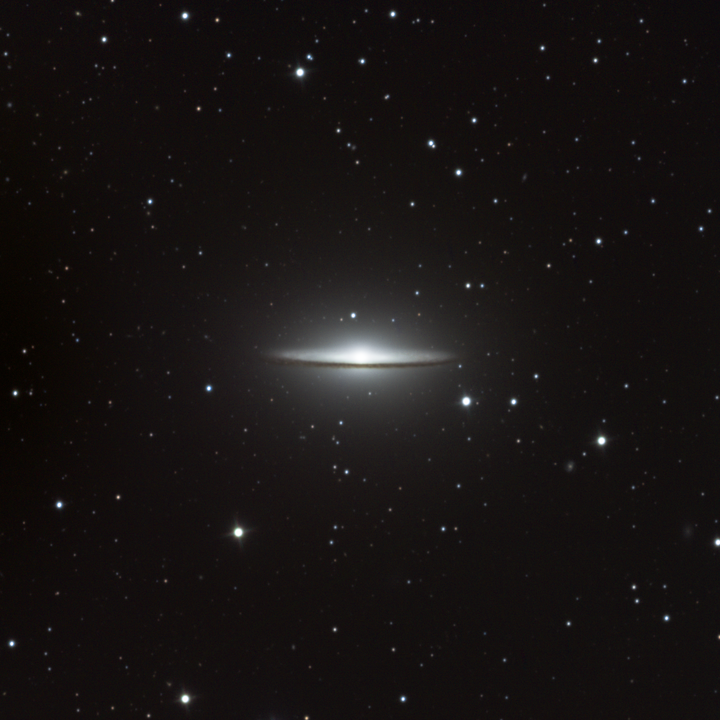 M104, or the Sombrero Galaxy, is a spiral galaxy approximately 30 million light years away in the constellation Virgo. We have an edge-on point of view of this galaxy, giving it the appearance of a sombrero. Some spiral galaxies appear top-down to us, making the spiral visible.